The World is Just a Book Away is an anthology edited by USC professor James J. Owens and published by USC Libraries Press that captures the stories of how books and reading inspired some of the world s most prominent people. Recognizing the life-changing nature of reading, Owens set out in 2002 to create this deeply moving book. At first glance, the sixty contributors to this anthology may not seem to have much in common yet they all share their personal love of books and reading in The World is Just a Book Away. This book takes readers on a unique journey through personal stories from five Nobel Peace Prize laureates, actors, royalty, world leaders, scientists, humanitarians, and many more. All of the profits from the book go toward the children’s literacy charity The World is Just a Book Away (WIJABA) to buy books and build libraries for children in underserved communities. 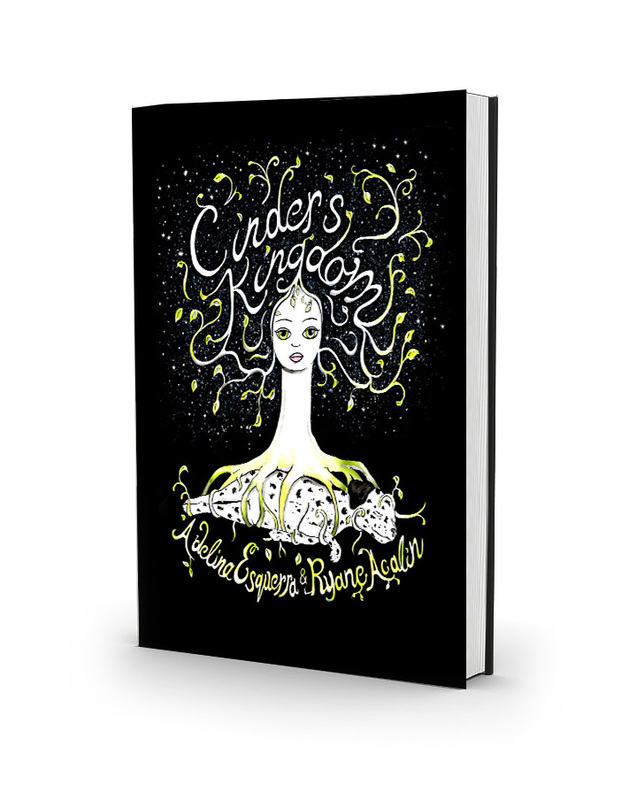 Cinder's Kingdom is a graphic novel about an inquisitive mother who looks to fill in the gaps of her past with the abundance of her present. Through the magical imagination of her daughter Apple, the mother explores the timeline of her own life. Unable to change the past in reality, the protagonist takes part in her daughter's wild creativity where past, present and future undulate in and out of one another. Apple's budding consciousness becomes a guide for her curious parent in a quest to understand the importance of a person's beginning in the temporal spectrum of human existence. This playful exploration ignites thoughts of the human process for the mother in a poetic realization of her own biology.